There were some good spots in the Poconos to hit, I used to go with my TJ. But I have a family now and need to stay in the area. I'm dying to go though. Are there and jeep organizations in our area? blue mountain jeep alliance im not a member, yet. i got allot goin on this summer with work, beer league softball and wrenchin on the jeep i havent gottin time to go wheeling!! id like to check out this place on bake oven ****. supposedly some guy is running a park there. id also like to go to rausch but ive never been and only one of my friends jeeps' are running. I've been to bake oven a bunch of times..I'll have to check that out. Sounds good, hopefully next year I will have a little more time to get out!!!! Yeah hopefully next year I'll be able to get a weekend to go to Rausch. Hey cattyxj, where were the spots in the poconos you use to go too? I just moved back up to the poconos from south jersey. Heres a pic of my Jeep finally. 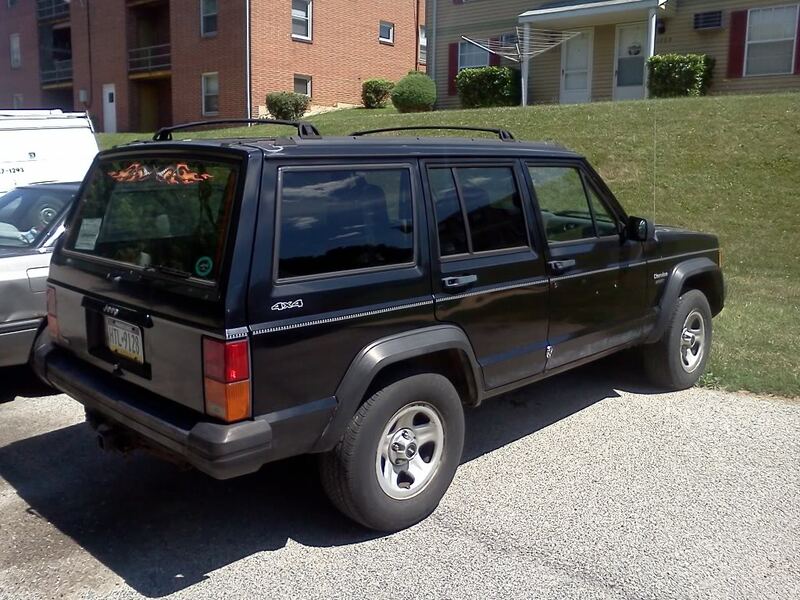 Chris from Red Lion, PA.
Looks pretty clean, I'm a sucker for black jeeps! I actually have something else in mind.